The 2012 Prix de Lausanne international ballet competition culminates on February 5 with a gala to mark its 40th anniversary and celebrate a bright future. 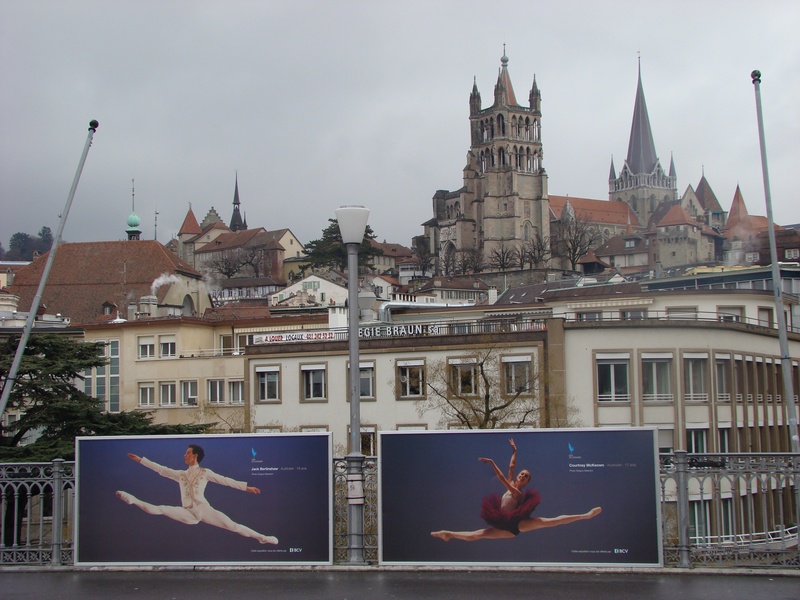 One week a year, Lausanne becomes the dance capital of the world as 15 to 18 year-olds from ballet schools on all continents flock to Lausanne to take part in the competition. Major artists coach, inspire and appraise them. And for dance lovers who cannot make it to Lausanne, the web takes the Prix to them. In celebration of its 40th anniversary, the weeklong competition that ends on February 4 will be followed by a gala performance with 25 international ballet stars, most of them past laureates of the Prix. Amongst the big names are Laëtitia Pujol (Danseuse Etoile of the Paris Opera Ballet), Friedemann Vogel (Principal Dancer Stuttgart Ballet), Federico Bonelli (Principal of The Royal Ballet, London) and Mizuka Ueno (Principal Dancer of the Tokyo Ballet). “It’s going to be absolutely breath-taking,” promised Beth Krasna, president of the board. As the Prix de Lausanne enters its fifth decade, Krasna explained the innovations that keep it one step ahead of its time and why it stands out from other competitions. This year, 75 participants are competing, 20 will be selected for the final and eight of the finalists will receive the scholarships of their choice, including the laureate. When Philippe Braunschweig, the heir and manager of a Swiss watchmaking company started the Prix de Lausanne in 1972 with Elvire, his Russian ballerina wife and Rosella Hightower, the legendary American dancer, they were joined by Maurice Béjart in Brussels and the Royal Ballet in London. “The founders had a very powerful vision,” Krasna said. The mission of the Prix, that has remained unchanged, is to find “young talent for the dance world of tomorrow”. But it also acts as a springboard to gifted young dancers who might otherwise not come in contact with renowned dance companies. It now includes contemporary dance as well as ballet. Over the years, the number of international partner schools and dance companies has blossomed to respectively 21 and 29, adding an aura of prestige and credibility to the event. The Braunschweigs remained at the Prix’s helm for 25 years, until they passed the reins in 1997 to executive and artistic committees. To head the organisation, they appointed Patricia Leroy, who is largely credited with the innovations that have allowed the Prix to stay in the lead. A notable accomplishment is that the influence of the Prix de Lausanne now extends well beyond the annual gathering. It aims to give dancers, whose dancing careers are usually over by the age of 35 or 40, the life skills that will help them in their later lives. “The philosophy of the Prix is totally holistic,” Krasna said, with a strong emphasis placed on education and health. The young participants are made to understand that dance isn’t everything. “We want kids to finish their high school,” she said, even when they secure a place away from their homeland. When language is an issue, which is often the case, “correspondence courses are arranged under some kind of supervision”. “We also believe that health is very important, so we screen the kids for health issues,” Krasna said. The well-known problem of “excessive leanness” in the dancing profession, a disguised term for anorexia, is never ignored. 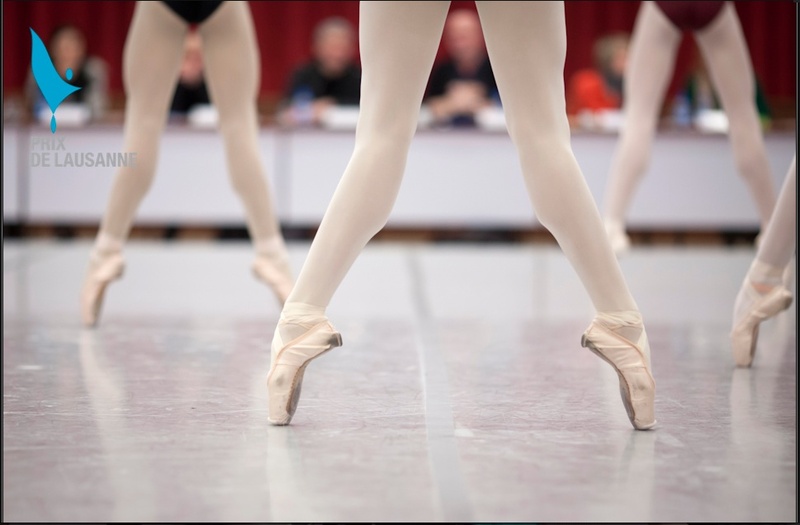 Nor is the risk of osteoporosis, a bone density deficiency that often strikes dancers who did not acquire the nutritional habits needed for a physically demanding profession. Amanda Bennett, the recently appointed artistic director, suggests that the profession as a whole – not just the individuals – benefits when the physical, emotional and mental well-being of dancers is taken into consideration, especially where there is such ethnic and cultural diversity. Contributing to the huge following of the Prix is the digital strategy implemented by Jean-Paul Dinh, referred to affectionately by his colleagues as the “web guru”. Videos uploaded to YouTube, including a Christmas advent calendar prepared by a professional team, have been watched more than six million times. “We try to broadcast our message, but also the emotion of dance and the spirit of the Prix de Lausanne through social media,” Dinh explained. All current platforms are used and live streaming takes place during the event. 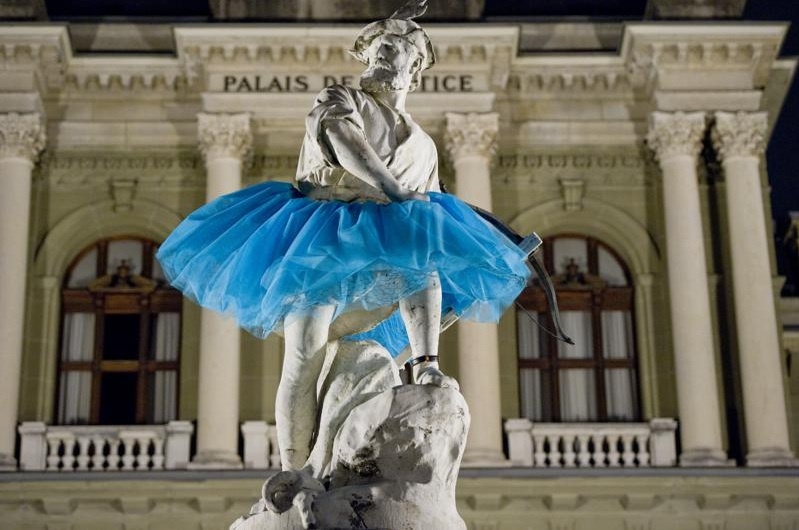 At ground level, a riotously funny guerrilla publicity campaign took place in October 2011: iconic statues throughout Lausanne were dressed in blue tutus during the night to announce the 40th anniversary. They were made to be removed the next day. Leading up to the competitions, spectacular large-scale photographs of the participants in the previous editions line a high-flying bridge in Lausanne, giving the impression that they are leaping over the railings. Ever since Serge Diaghilev (Ballets Russes) and Vaslav Nijinski came to Lausanne early last century and Russian-French dancer Serge Lifar settled there, the city has acquired a reputation and following for dance. A Dance Book publicises the many celebratory events this year, including the Béjart Ballet anniversary, attracted to Lausanne 25 years ago by the Braunschweigs. 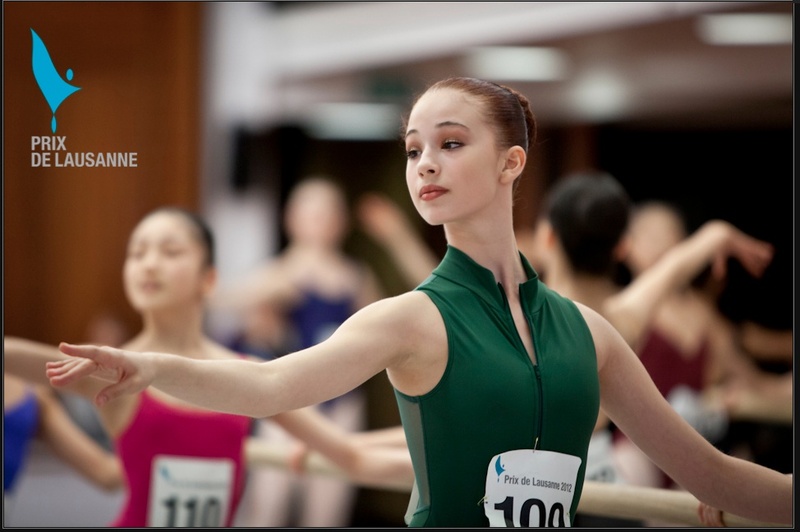 “The Prix de Lausanne was such a huge steppingstone in my career. It opened so many doors,” declared Steven MacRae, the 2003 laureate who is now Principal with the Royal Ballet in London. “Follow your dreams and dance with your heart,” advised 2010 winner, Emanuel Amuchástegui.